Three decades ago, the Philippine government took an important step toward greater self-reliance with the establishment of a facility that would be responsible for the production of Philippine bills and coins. 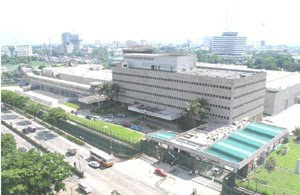 The facility, located on East Avenue in Quezon City, is called the Security Plant Complex (SPC) of the Bangko Sentral ng Pilipinas and is currently headed by Assistant Governor Evelyna Avila. For most of our history, all our country's coins and banknotes were produced abroad. However, the shortages in coins in the early 1960s prompted the government to seriously consider the idea of producing currency in the country instead of importing all our coins and bills. In 1975, the Security Plant Complex initially operated a printing plant for banknotes. Subsequently, it went into security printing works and the establishment of a gold refinery and mint. Currently, the SPC prints circulation and commemorative banknotes. It also produces regular and special checks, e-passports, seafarer's identification and record books, documentary stamps, judicial title forms, and other non-security documents such as bills, bonds, and certificates. SPC produces circulation coins as well as special coins and medals. It purchases the gold produced by small-scale miners and refines them to forms acceptable in the international gold bullion markets. While part of our printed money requirements (and all coin blanks) are still outsourced, local production insures that we are able to maintain a comfortable buffer and contingency supply at all times. We also realize significant forex savings commensurate to the volume locally produced. The amount of money to be printed depends on economic indicators, cash operations data and projected needs of the regional and branch offices of the BSP. Printed money has an average life of one to five years, depending on frequency of use. Expectedly, lower denominated bills have a shorter life span than higher denominated bills. The Security Plant Complex celebrated its 31st anniversary earlier this month. Events such as this provide us with a welcome opportunity to look back at the beginnings of an institution that has become such an important part of our economy and our daily lives.